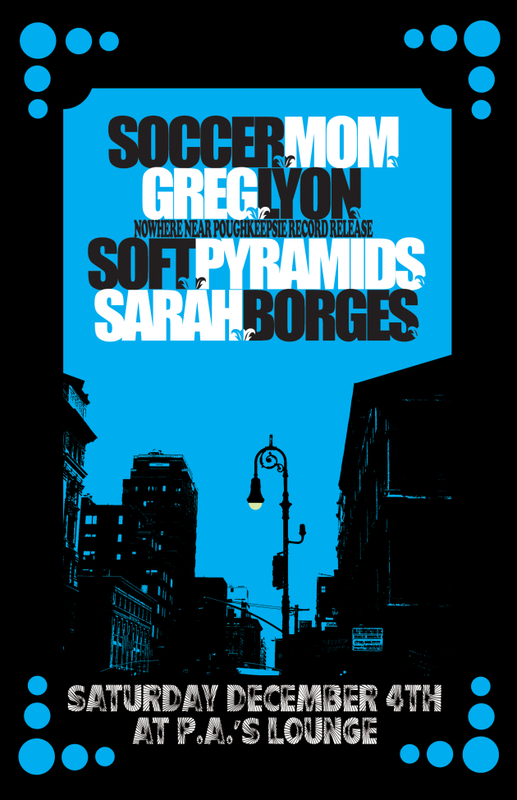 We speculated here earlier this month that Greg Lyon's debut solo set Nowhere Near Poughkeepsie was going to get lost in the end of the year shuffle. But after spending a lot of time with the record, we're of the belief that the late-year release date perfectly poises the set to settle into your conscience at a very appropriate time: during frozen, still winter days. The pervasive mood of one is wholly appropriate for the other; these are not hot summer party jams, but rather a series of reckonings approached in solitude, teeth about to chatter, hands chilled to the bone as you light your cigarette and set out walking. Even the relatively upbeat title track or the jaunty "Industrial Park"'s sunny dispositions are anchored by wintry piano. Nowhere Near Poughkeepsie will be released by Midriff, but is available now at Bandcamp (hence the stream embed below), so you've got plenty of options to score what is rapidly becoming our go-to record for this, the winter of our discontent. YouTube Rodeo: Ringo Deathstarr's "So High"
YouTube Rodeo: Big Deal's "Homework"
Hear It Now: Johnny Foreigner's "Tru Punx"